Mr. W. B. 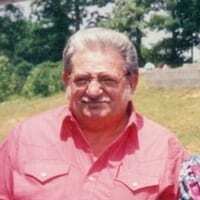 “Beetle” Hayes age 79 of Chatsworth, passed away Sunday, January 13, 2018 at his residence. W. B. always enjoyed the nurses he worked with at Hamilton Medical Center. Mr. Hayes was preceded in death by his parents, Ellison Hayes and Ester Brindle Hayes; and many siblings. Survivors include son and daughter-in-law, Gary & Susan Hayes of McCayesville, GA; daughters, Brenda Goforth of Chatsworth and Sonya Hayes of Dalton; significant other, Caroleen Hayes of Chatsworth; sisters-in-law, Myrtle Hayes and Lou Hayes both of Chatsworth; grandchildren, Chevy Bradley, Kristina Hayes, Tabitha Campbell and Gary Hayes; 10 great-grandchildren; several nieces and nephews. Funeral services to celebrate the life of Mr. Hayes will be held Wednesday, January 16, 2019 at 1:00 p.m. from the New Prospect Baptist Church with Rev. Isaac Johns, Rev. Danny Jenkins and Rev. Donald Bishop officiating. Interment will follow in the New Prospect Church Cemetery. The family will receive friends Monday, January 14th from 6:00 p.m. until 9:00 p.m. and Tuesday, January 15th from 6:00 p.m. until 9:00 p.m. at the Peeples Funeral Home. ballground Beetle Chatsworth Eton funeral Hayes jones murray obituary peeples shawn chapman W. B.